Marathon races in Nigeria: Of what benefit? In the early 1980s, down to the mid-90s, Nigerian athletes dominated sprint events, and were usually in the finals of the 100m and 200m at global championships. That was before Jamaican sprinters overpowered Americans in the short sprints. This was the era when Innocent Egbunike, Chidi Imoh, Olapade Adenikan, the Ezinwa brothers (Davidson and Osmond), Sunday Bada, Seun Ogunkoya, Francis Obikwelu, Deji Aliu, Olusoji Fasuba, Chioma Ajunwa, Mary Onyali, Falilat Ogunkoya, Fatima Yusuf, Tina Iheagwam, Faith Idehen, Beatrice Utondu, Mary Tombiri, Christy Okpara-Thompson, Mercy Nku, Endurance Ojokolo and Gloria Alozie were the ‘kings and queens’ of the track. By that time, if Nigeria failed to win a medal in the individual events, the country never failed to pick a silver medal behind the Americans in the relays. It was so because of the number of good sprinters the country had on parade. However, the cancer that has eaten deep into some aspect of the nation’s economy soon creped into the athletics scene, and gradually, the once-celebrated Nigerian sprinters began to fade away. Mostly affected is the male fold. For close to two decades, the likes of Ogho-Oghene Egwero, Obinna Metu and Seye Ogunlewe had struggled without success to bring the country back from its sleeping position in the short sprint. On the other hand, Blessing Okagbare had been the sole fighter in the female category, but her efforts seem to have reached diminishing point. Today, Jamaica, South Africa, Cote d’Ivoire and even Ghana have pushed Nigeria out of the short-distance races. To former Nigerian sprinter, Jumper and hurdler, Seigha Porbeni, the reason for the nation’s sudden decline in the short sprints is because the Nigerian government and individuals have failed to support athletics, both at the local and national level. Porbeni, Nigeria’s first decathlete, who introduced combined events into the nation’s athletics is of the opinion that the continuous sponsorship of marathon races by some state governors in Nigeria is a direct way of killing short sprints, which is Nigeria’s major stronghold. Speaking with The Guardian, Porbeni, a former Director of Sports in Delta State, asked: “Why should a state governor in Nigeria, who is reeling under financial pressure, waste scarce resources to promote marathon races that a Nigerian athlete cannot win? “Unless we want to deceive ourselves, no Nigerian athlete can win a marathon race, no matter how hard he or she tries? Why are our governors not giving priority to the short sprints, where our athletes have the advantage of beating their foreign counterparts? Nigerians are naturally blessed in the short sprints, not the marathon. “We can organize a 10km race for our athletes to start their new season. That is what we are doing with Warri/Effurun Peace Marathon in Delta State. It is purely for Nigerian athletes. Anything outside that is a complete waste of money. If our governors should pump half of the money wasted on those marathons into the short sprints, our athletes will gain so much from the system. This idea of organizing a marathon race for the Kenyans and Ethiopians to cart away huge sums of money from Nigeria on yearly basis should stop. It is not helping our sports,” Porbeni stated. Former governor of Cross River State, Donald Duke introduced the 11.25km Obudu Mountain Race in 2005. Since then, other state governors have keyed into the project of staging marathon races, leading to the emergence of a 10km Okpekpe Road Race in Auchi, Edo State, and the 42.1km Access Bank/Lagos City Marathon. 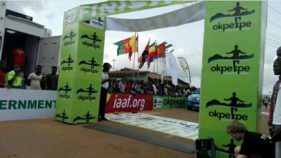 Plans are underway to add the Ijebu-Ode International Marathon and Abuja City Marathon to the fold. An Australian runner, Ben Duboi won the maiden Obudu Mountain race in 2005, while East African athletes dominated it until the government of Cross River State later realised it was a wasteful venture. Governor Ben Ayade stopped the sponsorship of the Obudu Mountain race about four years ago. The various state governors say they are sponsoring marathon races to drive tourism in their states. For Porbeni, however, such excuses are not tenable. He asked: “Is marathon the only sporting way of promoting tourism? A governor can bring the likes of Usian Bolt, Asafa Powell, Justin Gatlin, Tyson Gay, Veronica Campbell-Brown and Shelly-Ann Fraser to Nigeria for a short sprint event if the fund is available. “In that way, Nigerian sprinters can benefit greatly because they will do everything possible to be among the winners, unlike the situation in the marathon races, where East Africans take all the glory,” Porbeni stated. Marathon is a race that perfectly suits the East Africans, as the Ethiopians, Kenyans and Ugandans have the highest altitude in Africa. The East Africans win marathon races because there is a nexus between altitude and the availability of air or Oxygen molecules. If it were just by hard work, Americans and Europeans will continue to beat Kenyans and Ethiopians in marathons. The higher the altitude, the ‘thinner’ the air. That is, there is a reduction in the Oxygen molecules per volume of air. So, someone who is accustomed to living in an area with lower amount of air can cope better when running over long distances without gasping for breath than someone who lives in lower altitude. That is where the East Africans derive their strength in marathon races. In the first edition of the Lagos City Marathon in 2016, for example, all the top 10 male winners were Kenyans and Ethiopians, while all the 10 female winners but one were also Kenyans and Ethiopians. In each edition of the Access Bank/Lagos City Marathon, the East Africans took huge amount of dollars. For instance, the 4th edition held on February 2, 2019, saw an Ethiopian, Sintayehu Legese, grabbing $50,000, while a Kenyan, Joshua Kipkorir got $40,000. The third position also went to another Kenyan William Yegon, who pocketed $30,000. It was the same amount for winners in the female category, all from East Africa. No Nigerian has ever come close to the top prize. It is the same east Africans dominance at the Okpekpe road race in Auchi, Edo State. Former Nigerian hurdler, Gloria Alozie says the sudden interest in marathon races by some governors in Nigeria would do great harm to the nation’s athletics. Alozie remains one of the greatest athletes to emerge from the continent of Africa. Before switching nationality to Spain in 2001, she grabbed a silver medal in the 100m hurdles for Nigeria at the Sydney 2000 Olympics Games, losing the gold medal narrowly to Olga Shishigina of Kazakhstan. The national and African record of 12.44secs she set in the 100m hurdles is still unbroken 18 years after. Alozie told The Guardian that the continuous sponsorship of marathon races by some Nigerians is counter-productive in many ways. “I think our people, particularly the politicians, need to realize the negative impact of sponsoring marathon races in the country. Have you ever heard of a Kenyan or Ethiopian sponsoring a short distance race? The answer is no. Why should our people abandon the sprints, which is our area of strength and continue to waste resources on marathon races? “Before I left Nigeria for Spain some years back, there were several age-grade competitions, including national school sports, national U-15, U-18, U-20 and the Classics for schools, as well as athletics at local, zonal and states level. All those age-grade competitions have disappeared. The focus now is marathon races. A state governor can turn a ‘Sprint Meet’ into a big tourism event in Nigeria. It does not necessarily has to be a marathon event, which a Nigerian can never win,” Alozie stated. 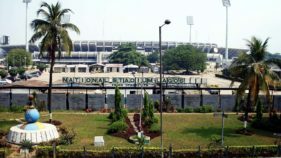 In the good days of Nigerian athletics, the MKO Abiola U-18 and Yinka Folawiyo U-15 Athletics competitions provided the platform for young athletes to display their talents, while the Mobil Track and Field Championship was the Nigerian version of the Olympics Games. With the disappearance of the MKO Abiola U-18 athletics competition after the death of the sponsor, former AFN President, Dan Ngerem came with his age-grade competition (Dan Ngerem U-15), while the Solomon Ogba regime as AFN boss saw the emergence of the Nkoyo Ibori U-18 championship. 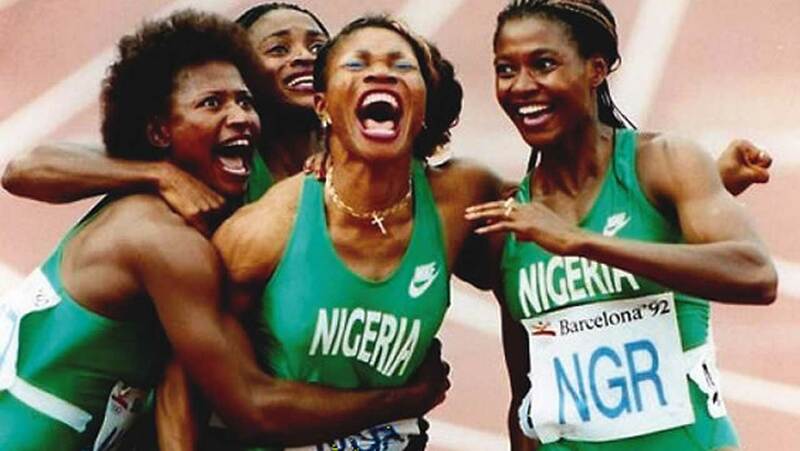 It gave birth to some of the athletes who still dominate the nation’s athletics scene till date, including Blessing Okagbare, Ese Brume and Divine Oduduru. Those youth competitions have vanished, as emphases now are on sponsorship of marathon races. Since the mid-2000s, Nigeria has been participating in global championships with all hopes placed on the shoulder of one athlete, Okagbare. And each time she failed, Team Nigeria returned home without a medal. Then, everyone, including governors, who put their money on marathon races, will start asking why the country has fallen so low. Alozie, who is back in Nigeria as a coach with the Making Of Champions (MoC), says developed countries, like the United States, can sponsor marathons, even though they don’t excel in it because they no longer grapple with basic issues like bad roads, dilapidated schools, poorly equipped hospitals, unpaid salaries, lack of potable water and poverty. 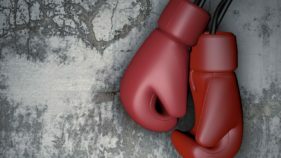 “They have extra money to play with, and also have the capacity to exploit the commercial benefits of sponsoring such events. But not so for Nigerian states, some of which are having issues paying salaries of workers and meeting other basic needs. “I think we must get our priorities right in Nigeria. We must stop making a mockery of ourselves, trying to do what other countries are doing. Every country has its own peculiar needs. It is after such needs are adequately met that one can start looking at other issues. “You can’t go to Kenya or Ethiopia today and start preaching about short sprints. What for? Our priority should be our area of strength, which are the 100m, 200m, 400m, the relays and the jumps. Let’s leave long distance races for the East Africans,” Alozie said.